Help us Recognize our Amazing Teachers and School Staff! It's no secret that we have a stellar school system! The administrators and staff in our district work hard to ensure our communities' kids thrive and realize their fullest potential. This year we want to acknowledge those who are educating our future community leaders and we're confident you will want to support this effort with a sponsorship! The Salute to Education Picnic will take place at the Ellsworth High School Cafetorium on Tuesday, August 21, 2018 from 11:30am-1:00pm. 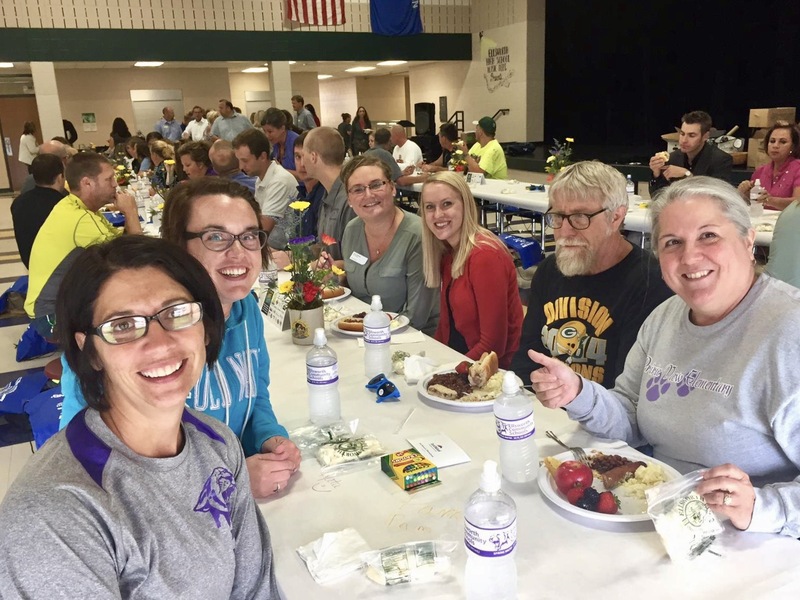 During the event we'll be treating all school staff to lunch and appreciating them for going the extra mile for our kids throughout the school year. As a sponsor you'll be part of a WIN-WIN-WIN opportunity! Win #1: This is your opportunity to acknowledge all who play a role in educating our future business leaders. Win #2: Your sponsorship helps raise a portion of the matching funds needed for our district's Fab Lab grant! The Chamber has committed $4,000 to the Fab Lab project, which will become a valuable asset to our students and community. The grant will be used to purchase equipment allowing students to gain hands-on experience and practice concepts they have learned in science, technology, engineering, art and mathematics (STEAM) courses. Win #3: In addition to the positive mojo and feel-goods, your face and business name receive positive exposure to 300 district staff members and their families who live and shop in our community! Our local schools employ over 300 staff members who live and shop in our community? Many of those staff members have spouses and children who are local consumers, too? Once aware that a small business is a member of the chamber of commerce, they are 80% more likely to purchase goods or services from them in the future? Join us as an Honor Roll Sponsor...This package earns your business high marks! Non-chamber members: Your participation will include a complimentary Chamber Membership through December 31, 2018! That's right, take advantage of full chamber member benefits from now until the end of the year! *Goody, promotional items or coupons only, no sales flyers or business cards alone, please. We are fortunate to have such a great education system in our community and we know you'll want to show your support. Please reserve your sponsorship level today by email or by calling Raynee at 715-273-4024 to ensure your place for this important event. For maximum marketing exposure, please confirm your sponsorship by Wednesday, August 8, 2018. Thank you in advance for helping us to make this opportunity possible!